When you think of the thinnest and lightest laptops in the world, a few names immediately spring to mind. For most people, the Apple MacBook Air would be the first, and for those in the know, the first Samsung Series 9 900X3A would be second. Samsung has now released an update, concisely named the Samsung Series 9 900X3B, but the similarities between the two Series 9 codes doesn't really matter. The new 13.3-inch Series 9 will not only supersede its older brother as the flagship Samsung model, it also takes the crown of the world's thinnest laptop. Wow factor and desirability are key to what Ultrabooks stand for, and this is also the ethos that has driven the Samsung Series 9's design. When closed, the laptop is just 14mm thick, and sits like a folded piece of paper on the desk. At first the Samsung Series 9 900X3B intrigues onlookers, but the real appreciation is saved for when it's picked up. The Series 9 weighs just 1.2kg, making it lighter than the MacBook Air, and thinner too. It's impossibly strong, and there's zero flex in any part of the lid and keyboard, something that the Toshiba Portégé R830 suffers from. Any Windows laptop released at the moment will be immediately categorized as an Ultrabook, but Samsung has opted not to allow Intel to brand the Series 9 900X3B with its new category. The Samsung Series 5 is the company's official Ultrabook, and while it's a solid performer, uninspiring looks and bland design only make the Series 9 more appealing. Samsung wouldn't be cowed on why it rejected the Ultrabook moniker for its flagship product, but the company takes pride in its Series 9, which extends across TVs and other consumer electronics. With Samsung trying to carve out a brand identity, it wouldn't want the Series 9 to be diluted with third-party labels. Naming conventions aside, the Samsung Series 9 900X3B shares all of the same technology with the Ultrabook crowd, which is growing on a weekly basis. There's a low voltage 1.6GHz Sandy Bridge processor with Turbo Boost, fast resume from sleep, long battery life and decent graphical power. 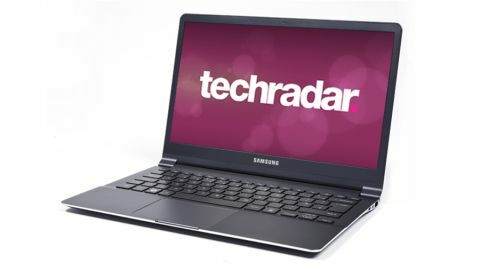 Read on for a deep dive into what the Samsung Series 9 has to offer.